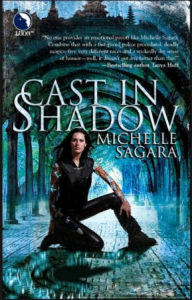 Michelle Sagara West is an author, book seller, and lover of literature based in Toronto, Canada. She is the author of the popular Chronicles of Elantra series. I interviewed Michelle about what inspired her to start writing and her writing process. Like most writers, my inspiration for writing is a direct result of my love of reading. Books were like entire worlds for me as a child; I loved them. I loved the stories, and I loved the words. Sometimes, I had to struggle with the words to understand and appreciate the nuances they contained, but unlocking them always opened up new avenues for me as a reader and new ways of seeing both myself and the world around me. I wanted to write books at a very young age. I thought, at the time, books were all made by hand, and I was frustrated because my writing and drawing didn’t look like a real book. But I eventually understood off-set printing, printing presses, and publication. At that time, I started to write because I wanted to tell a story that readers would fall in love with like I’d fallen in love with the stories of others. What were the major hurdles in writing your novel? The major hurdles for me were writing and revising a novel. This isn’t as simple an answer as it first seems. Writing for yourself is a simple act of creation, not so much an act of communication. You understand how you think. You understand who your characters are. But when you’re writing for other readers, you need to make certain that some of that knowledge is actually on the page. Too much and it slows the story down; too little and it becomes confusing and possibly even seems pointless. Everyone has a process that works for them. Some are heavy outliners. Some can’t outline at all. Some write long, detailed character sketches; some learn about the characters as they write them. There’s no right way to write a novel; there’s only the way you’ve discovered that works for your novels, and so much of that is stumbling around in the dark, looking for glimmers of luminescence. Do you base your characters on real-life people? I don’t base most of my characters on real-life people, in part because some of the stuff the characters go through is so personal it could wind up being awkward. I don’t really do character sketches before I start to write. This doesn’t mean that there’s anything at all wrong with character sketches. Some people find them necessary, and writing is really all about finding your own process. Writer’s block is interesting. Until I started working on two projects simultaneously, I used to think that I had stretches in which my creative brain was on strike. But I discovered that while it might take me six hours to write 400 words in one book, I could switch projects and write 1500 words in two hours, and I began to realize that sometimes the slowdown—or even the dead stop—was very much based in individual projects. Sometimes, I can’t move forward because there’s something wrong with what I’ve just done, and I’m too close to it to see it. When I first started writing, I couldn’t have worked on two projects simultaneously. But the way through was to set a minimum number of words that I had to write during a writing day and to write them, no matter how long it took. This was probably as much fun as it sounds. Amna Gillani is a 14 year old writer from Pakistan. She is trying to make her writing dream a reality.